Fritchie (née Hauer) was born in Lancaster, Pennsylvania, before her family moved to Frederick. She married John Casper Fritchie, a glove maker, in Frederick on May 6, 1806. She was 15 years his senior. With its attached glove shop, the house contains many interesting artifacts from Barbara Fritchie’s life. These include a teapot from which she served President George Washington in 1791 during one of his visits to Frederick. 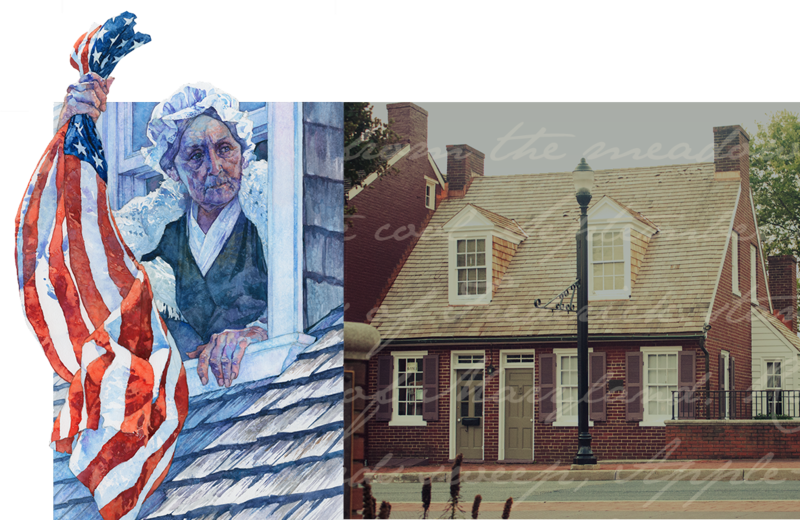 She was a friend of Francis Scott Key, a Frederick native and author of the U.S. national anthem, “The Star-Spangled Banner.” The museum houses a shawl presented to her by Key and her original dainty cutters for cookies she served to her husband’s glove shop customers. Like Key, Fritchie is buried in the historic Mount Olivet Cemetery in Frederick. The grounds are known as the “cemetery beautiful” and were established in 1852. The tidy Cape Cod house from which she is said to have raised the flag was torn down in 1869 and reconstructed in 1927 from photos and documents of the original early 1800’s home.